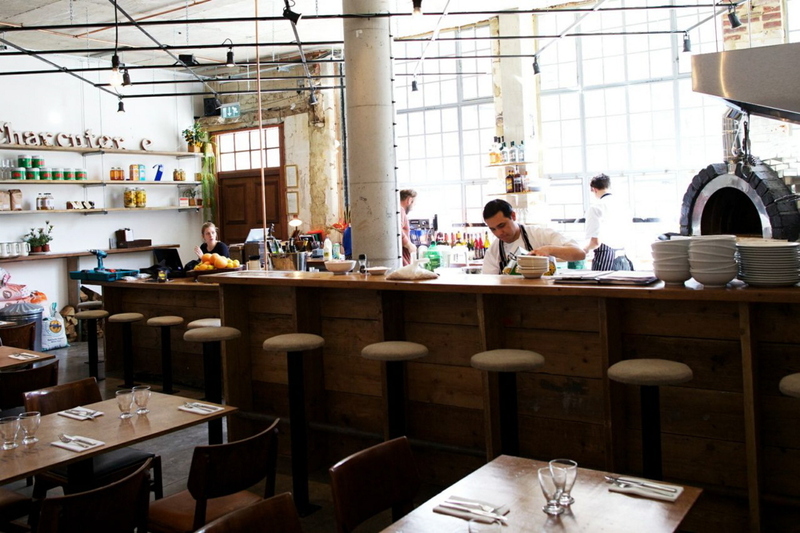 Where to eat in the gentrified hipster heartland that we call Hackney. 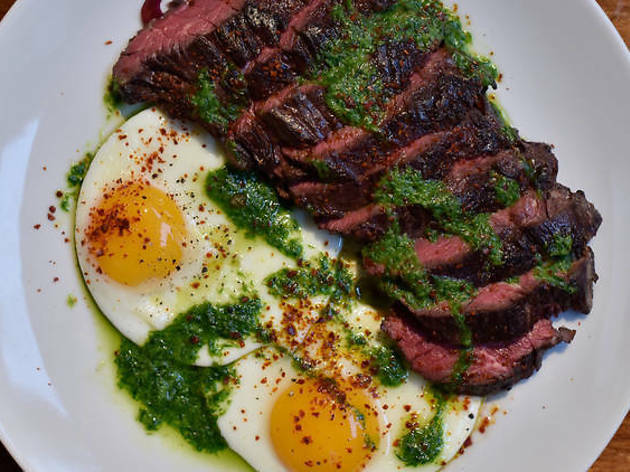 Hackney – that inner-north-inner-east patch of London – is edgy, sleek and home to some of the city's most exciting restaurants. 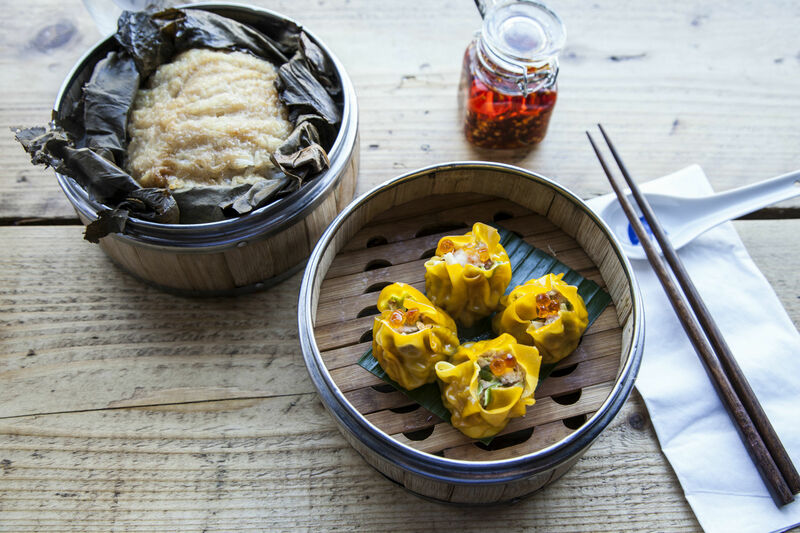 With everything from swish restaurants to new-age gastropubs and dumplings, you'll never be short of eating options if you're in the area and need a feed. Here are 22 places for your consideration – in Shoreditch, Dalston, Hoxton, Hackney Wick and the many other suburbs that make up this very liveable London borough. 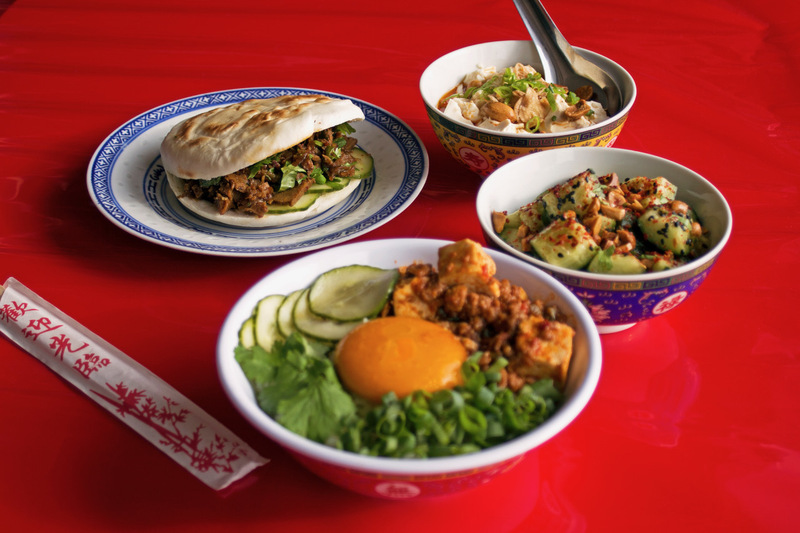 Go east(ish) and eat. 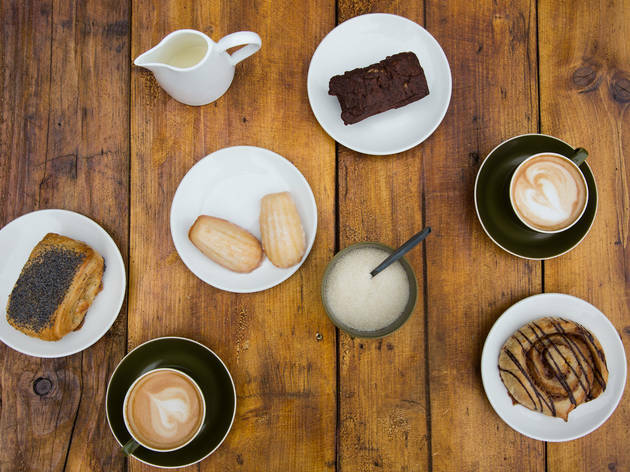 Hackney is awash with artisan bread these days, but this café/bakery offers something a bit different with its Danish-style yeast-free goodies. Chef Christoffer Hruskova specialises in naturally fermented organic rye loaves and wholemeal boules, although we’d die for his truly wonderful cinnamon buns and bargainous bacon butties. Act out your teen fantasies and wallow in ‘80s nostalgia at this cluttered, ersatz homage to John Hughes’s cult movie – and tribute to the most important meal of the day. Breakfast takes centre stage (natch), but this branch of the popular Breakfast Club chain runs right through from brunch to dinner. 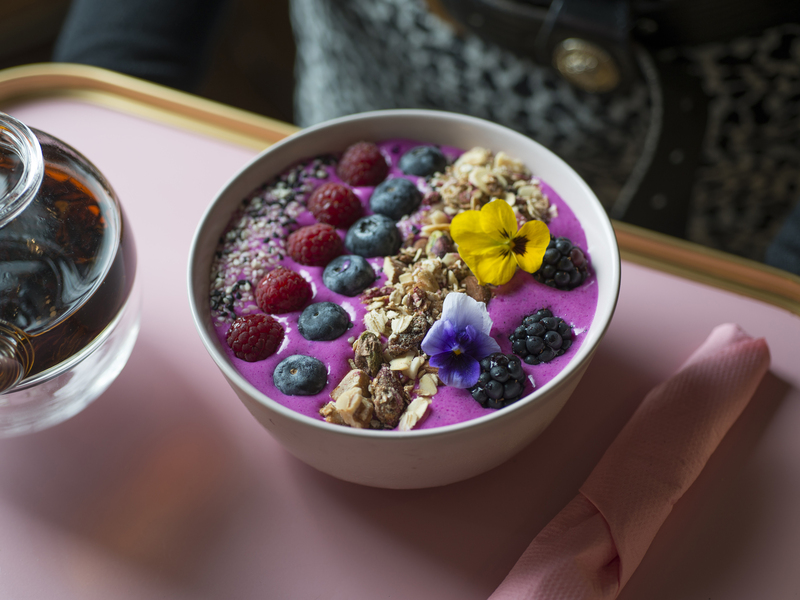 North Hackney’s latest Instagram paradise is achingly stylised but incredibly well curated – a pastel-toned brunch-based photo op complete with retro furnishings, hand-picked condiments and a menu that soaks up influences from Spain, Mexico and all in between. The waffle burgers (heart-shaped, of course) are a standout. 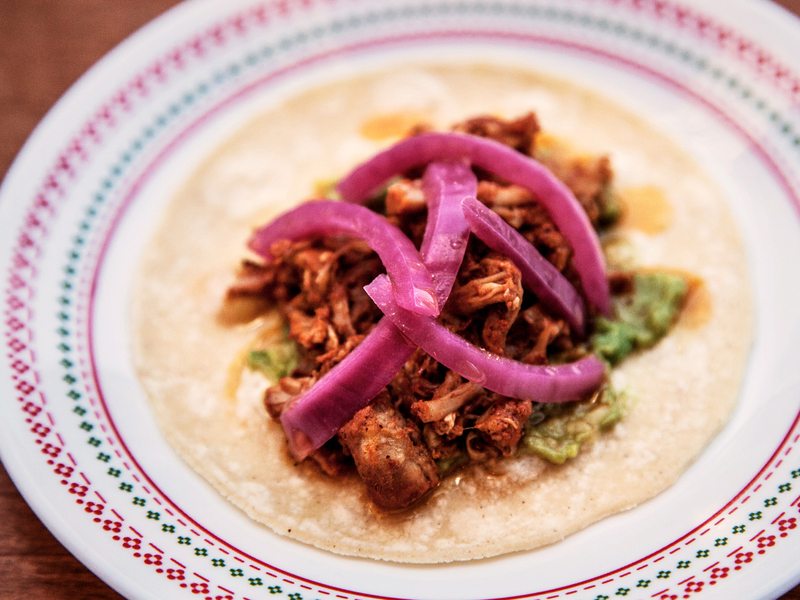 A garish, grungy Mexican pop-up bar/taqueria gone permanent, Del 74 promises banging beats, good vibes and easy-to-drink margaritas, plus a bar menu of well-crafted classics – including pork pibil tacos, brisket tostadas and quesadillas. Veggies are guaranteed to do well here. 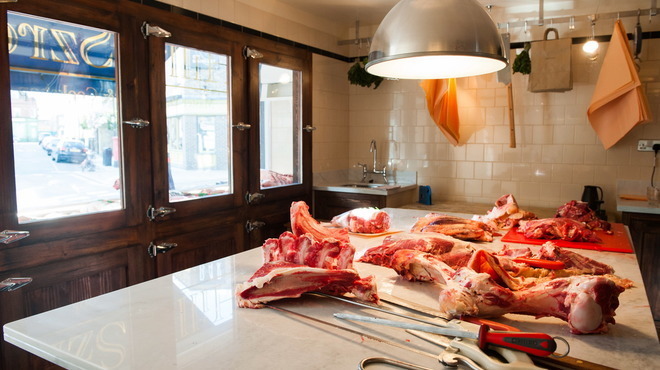 A ‘master butcher and cookshop’ by day, with carcases hanging the window, Hill & Szrok morphs into a suppertime haunt later on, as its massive marble slab becomes a communal table. 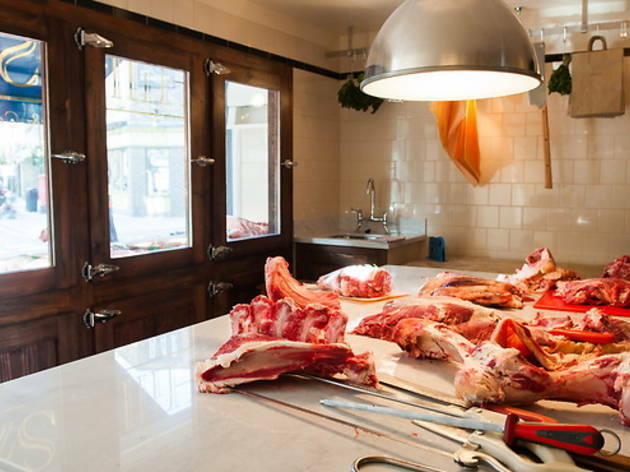 A short menu spells out the night’s free-range rare-breed cuts – steaks, rack of lamb, duck breast and so on. ‘Easy Rider’ meets east London hipster at Jim’s Café, a greasy spoon reborn with a little help from Hackney-based motorcycle collective/online retailer Black Skulls. 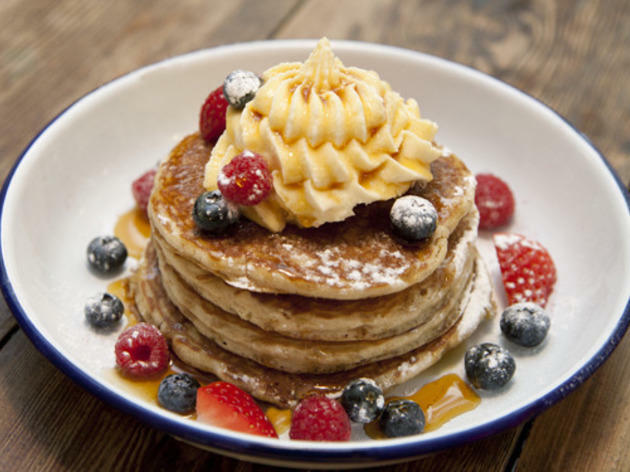 It’s very cool, a bit ‘Twin Peaks’ and custom-built for the neighbourhood with its modish ‘breakfast plates’, ‘all-day plates’ and potent booze. It’s a pizzeria, but not as we know it. 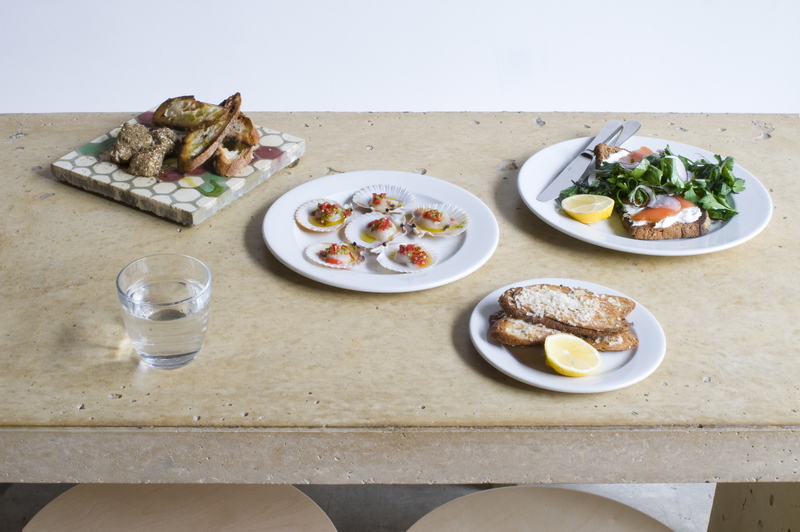 Named after the cured back fat of a pig, Lardo is a cool industrial-chic space with a ‘disco ball’ oven and a menu that mixes wood-fired pizzas with hand-made pasta, trendy salads, spuntini, salumi and small plates. 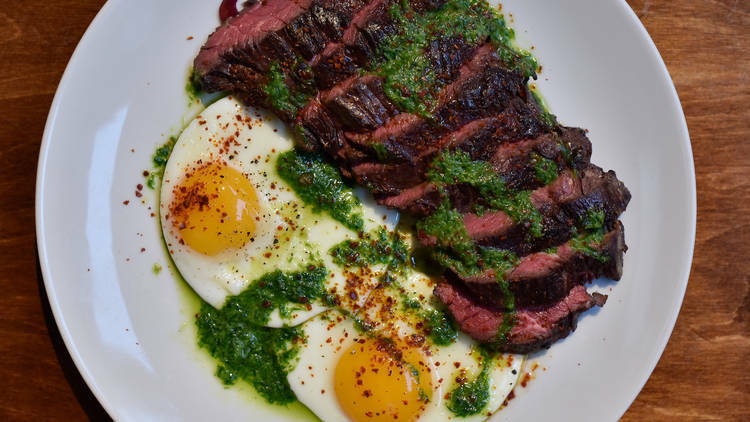 Lardo is bang on for weekend brunch too. 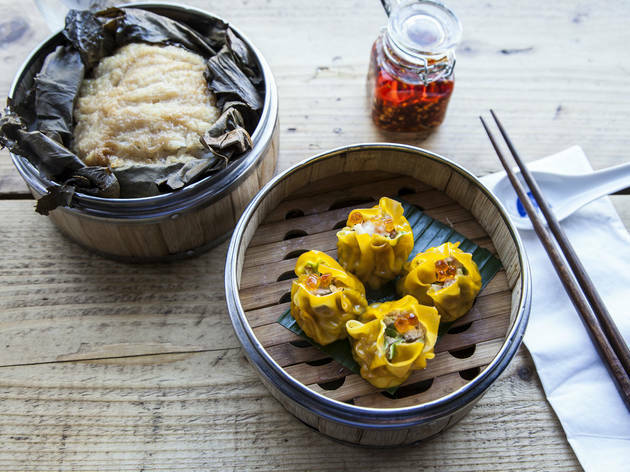 The flawlessly chic mezzanine space above The Laughing Heart’s cave-of-wonders wine shop is manna for Hackney Road’s late-night drinkers, with its epic list of organic sips and intriguing menu of Asian-inflected pan-European small plates. The name? It’s the title of an American poem. 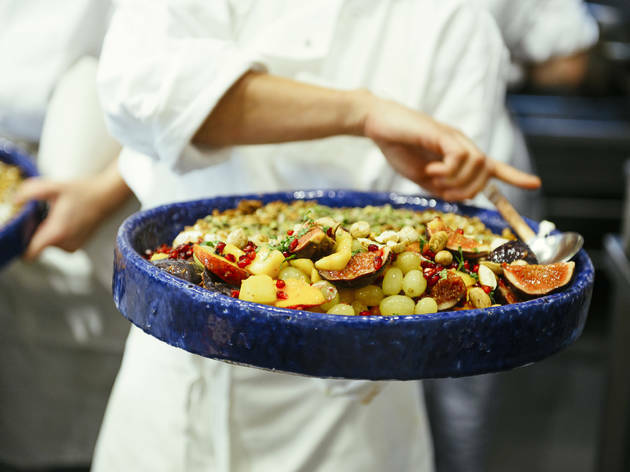 A completely different kettle of salt cod to its sibling in EC1, this branch of Spanish/North African hybrid Morito is an expansive, high-ceilinged concrete-chic space – civilised and minimalist, with a menu of sassy small plates backed by dukkah for dipping and pomegranate cocktails for sipping. 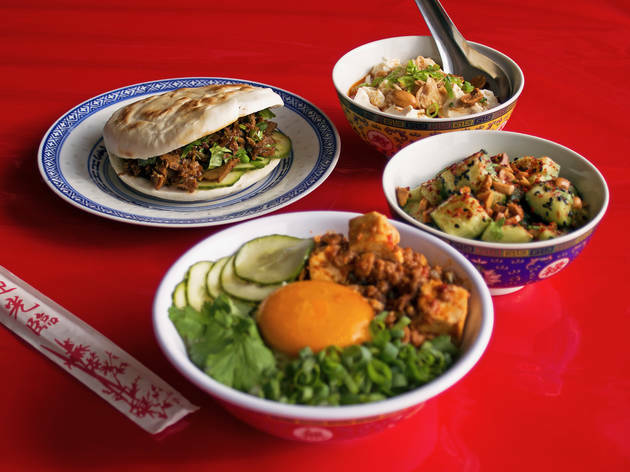 A former pop-up offering dim sum-style dining for local hipsters, MNTD’s watchword is definitely not ‘authenticity’. Still, the dumplings are excellent, with handmade pastry and irreproachable fillings like the Siu Mai Classic (pork and prawn). We’re also fans of the fusion salads and the matcha rice pudding with coconut jam. Like your plates small and your options smaller? 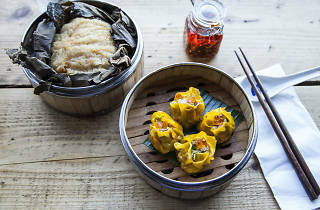 Then you’ll love Nest with its seven-dish no-choice seasonal menu and its limited opening times. Huge plus points for the three fizzingly enthusiastic owners, the funky soundtrack, the plain bistro furniture and all-round feel-good vibe. Plants, plants everywhere… tumbling from the ceiling, sprouting from pots, lurking in corners. 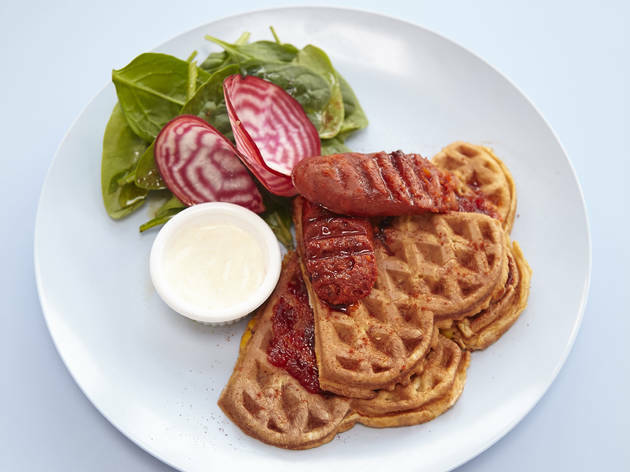 If that’s not enough, the menu at Hackney’s most ‘colourful’ café (we don’t mean that as a euphemism) is loaded with flexible meat-free possibilities. 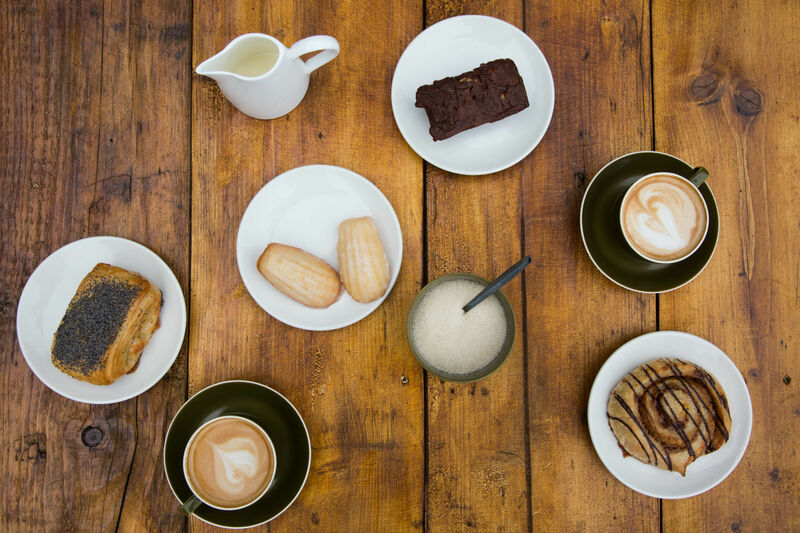 Expect anything from spinach dhal to cashew-milk mochas and colourfully jazzed-up coffees. 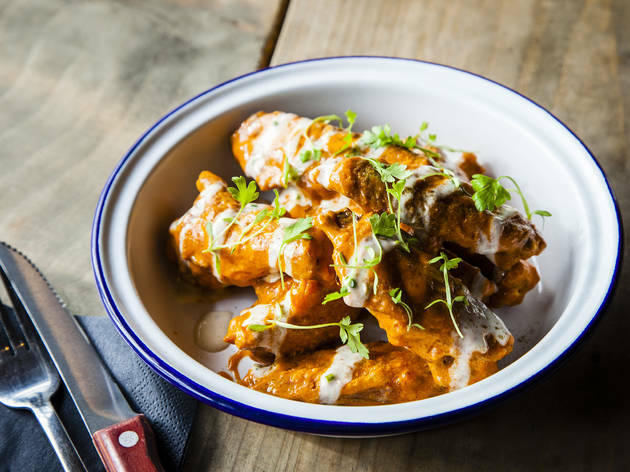 Former street-food upstart Randy’s now has a permanent roost by the canal in Hackney Wick, and its wings are the business. 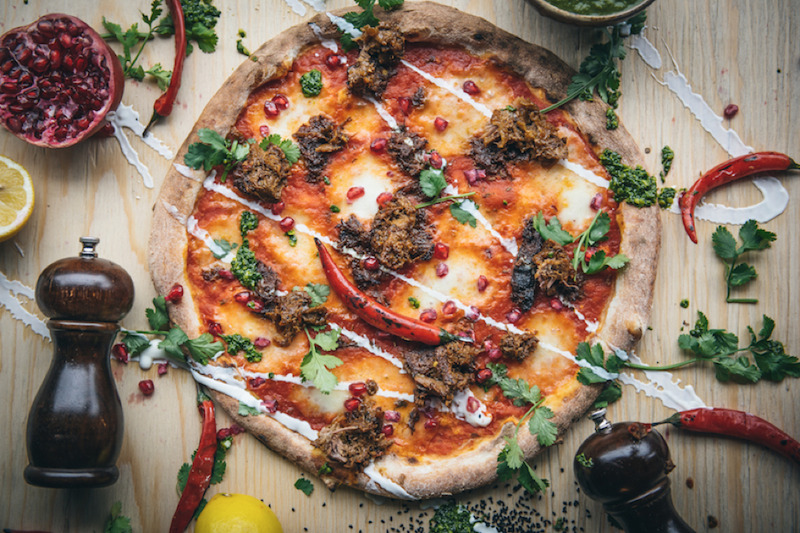 Try the BBQ-slathered Kansas option, sweet ‘n’ sticky Korean-style Gangnam or harissa-infused Casablanca with pomegranate seeds. Bag a deckchair by the water when the sun’s out. 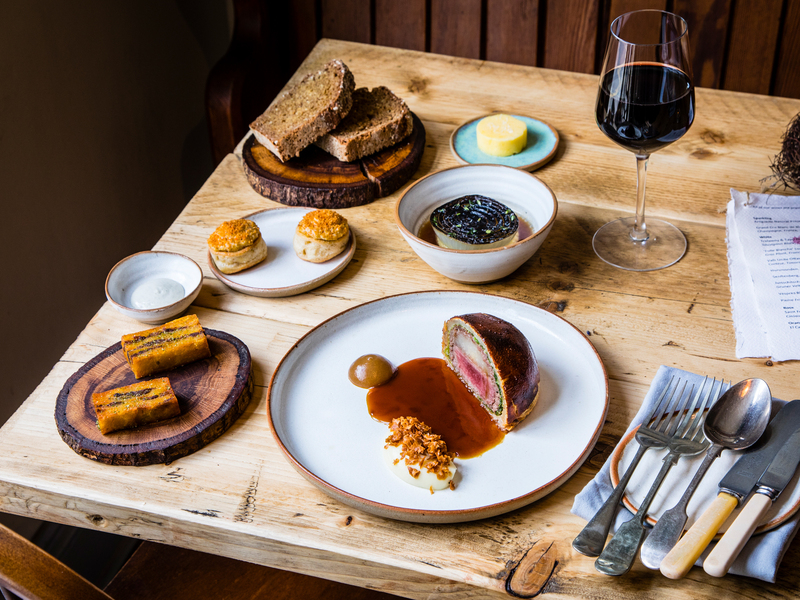 Now quacking away merrily in its nest near London Fields, Rawduck does duty as a morning café, post-work wine bar and everything in between. Expect a freewheeling global menu stuffed with unlikely partnerships (salted ox cheek, peas, rice and horseradish, say), plus trademark drinks, fermentations and natural wines. London’s first vegan pub has installed the trailblazers from Club Mexicana to manage its food – so expect the unexpected. The fish tacos are made from tofu, the burritos are filled with BBQ pulled jackfruit and they even know how to create fake scallops. To drink? Vegan-friendly beers, wines and egg-free tequila sours. 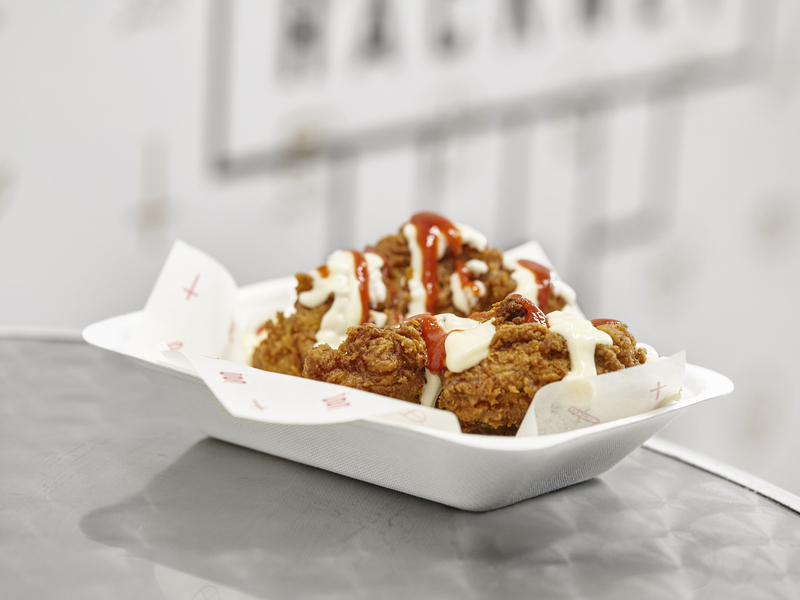 A virtuous vegan ‘chicken shop’ (yes, you heard right), born out of the Temple of Seitan street stall. It’s all about ‘meaty’ wheat gluten here, whether you order peppery popcorn-style nuggets, battered strips or a burger. Blaring music, no indoor seating, no booze. 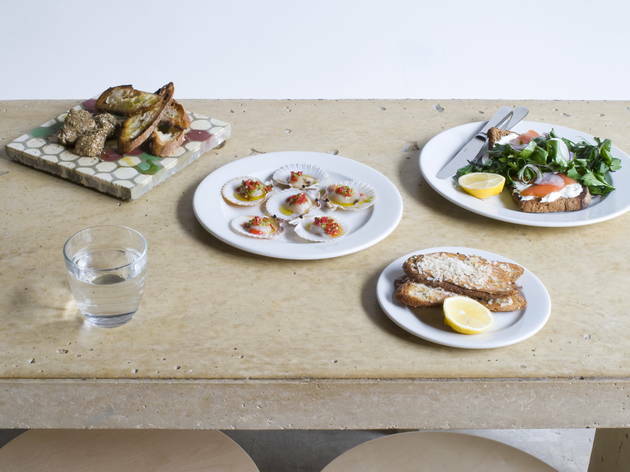 It’s not quite the Med, but with its picturesque views of the Regent’s Canal and a menu of subtly flavoured small plates, greenery-garlanded Tuyo gives Hackney a sunny taste of the real thing. 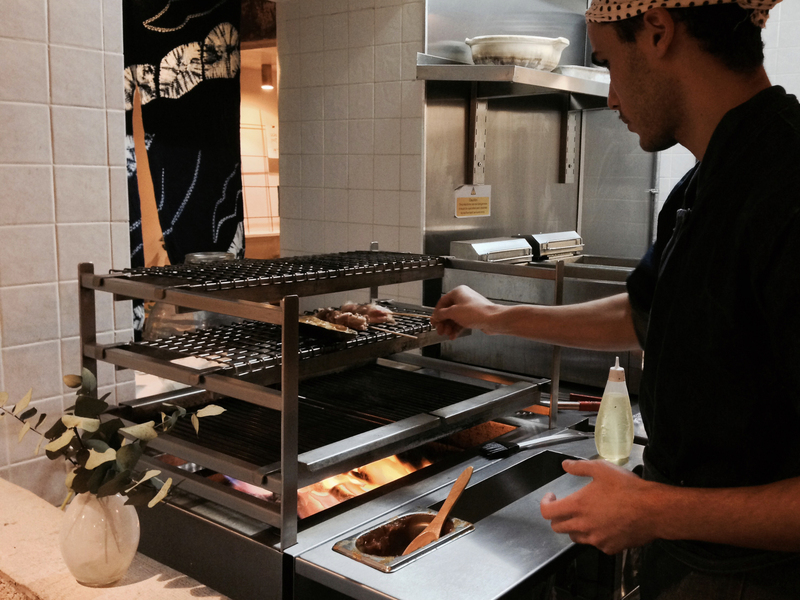 Open all day, it wheels out charcuterie, pinchos, mezze classics and other communal pleasures. 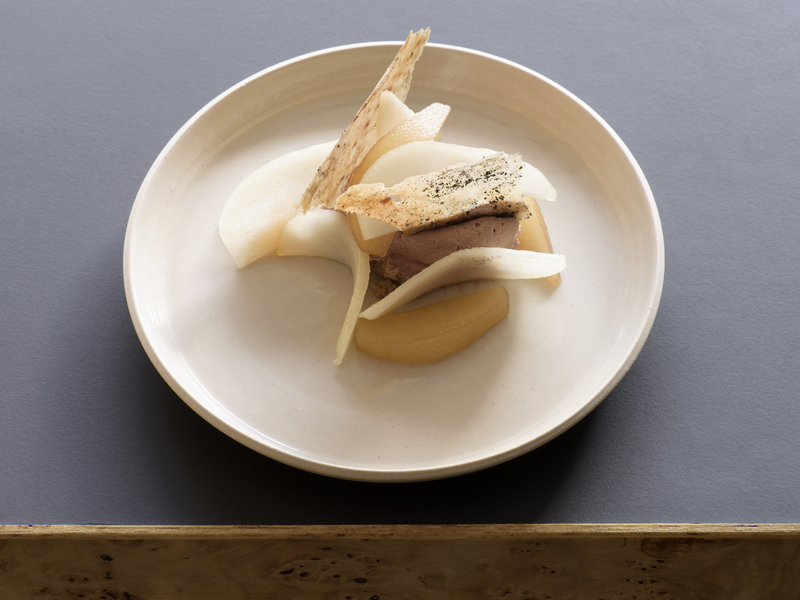 The surroundings are as eye-catching as the sushi at Uchi, where the brushed gold countertops, soft lighting and dainty crockery are all worthy of a Pinterest board. Raw fish aside, top picks include the piping-hot chicken karaage and charred pork belly skewers. 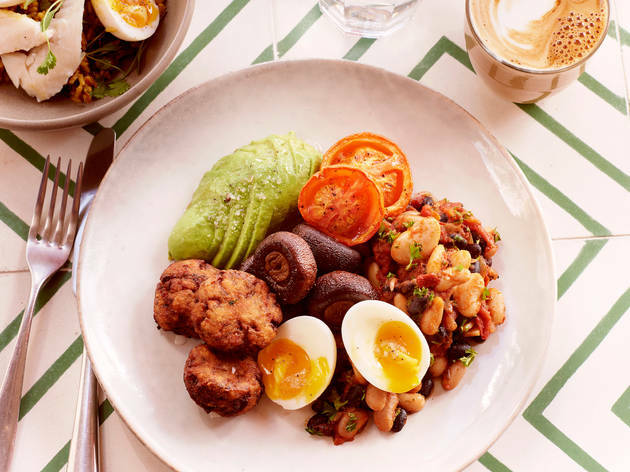 A sheeny all-day eatery from the guys behind the glorious Sebright Arms in Bethnal Green, The Vincent serves up everything from late breakfasts to dinners with lots of inventive veggie/vegan trickery – don’t miss the fish-free ‘vegeree’. Just add the now-obligatory craft beers and fun cocktails. 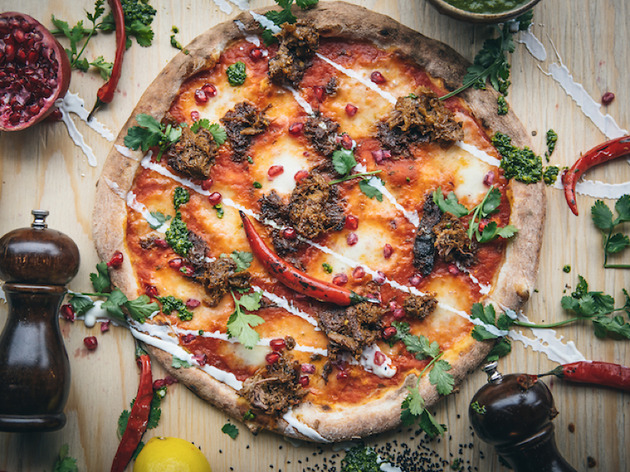 Famous for being the pizza place where Macaulay Culkin’s band played an impromptu show, this low-fi neighbourhood eatery deals in double-fermented stone-baked pizzas with leftfield toppings and punning names – try the Harlamb Shake with harissa lamb, goats’ cheese and guindilla chillies. 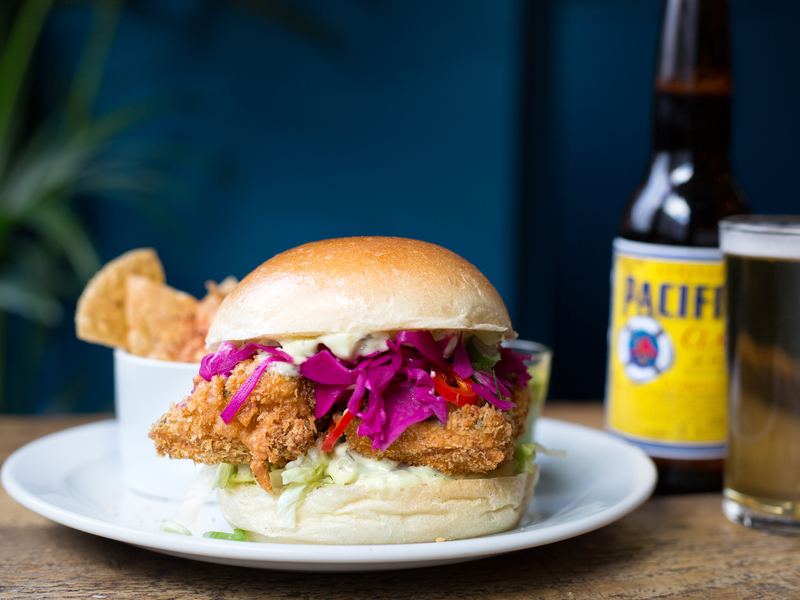 Eat in with pokey bottled beers or use the takeaway counter. 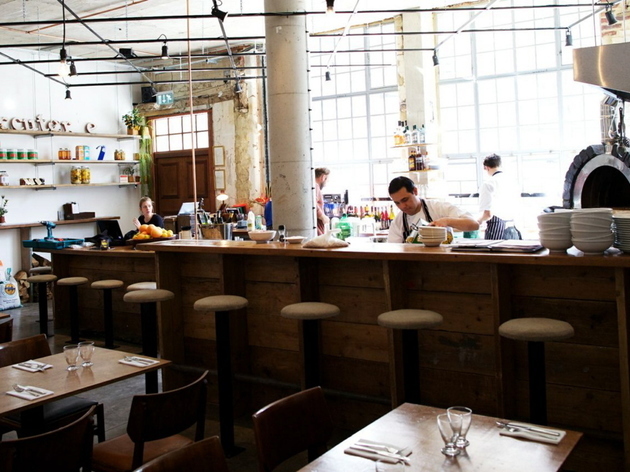 Dalston may be known for its buzzing bars and thriving nightlife spots, but its dining-out scene is just as exciting.